Ms. Yvonne Sawyer Aug. 24, 2017 Life Celebration service will be convened in the Winnfield Memorial Funeral Home Chapel, 318 North St., Natchitoches, Saturday, Sept. 2, 2017, at 10 a.m. The remains will lie in state for public visitation Saturday from 9 a.m. to service time. Interment will follow at Lawrence Serenity Sanctum. Please keep her family in prayer at this very special time. God Called Home another Angel and Whispered “Peace Be Thine”. Mary Yvonne Sawyer, affectionately known to her family and friends as “Yvonne” passed away Aug. 24, 2017, after a lengthy illness. Although Yvonne was a resident of Shreveport, she was born in Natchitoches and spent her early years there. As a resident of Shreveport, she was a member of the Word of Life Center where she served as a “greeter” until she assumed caregiver tasks with her mother and later her own illness. Yvonne retired from the City of Shreveport as a customer service specialist in the Department of Water Utilities and Taxation. 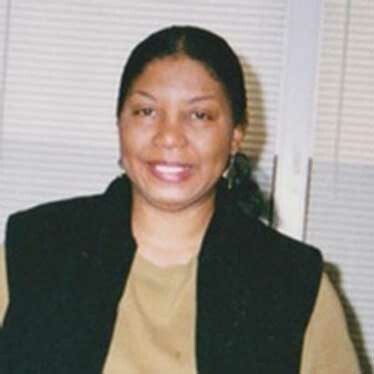 Prior to that, she worked as a reservationist for American Airlines in Dallas, Texas, and in customer service with AT&T in San Francisco, Calif. During high school, Yvonne attended Central High School in Natchitoches and graduated in 1965. After graduating high school, she attended Southern University in Baton Rouge with a major in Textiles and Clothing. Yvonne was quite talented and creative in sewing and used her gifts to design handbags, sew clothing for others and make draperies. After retiring from the City of Shreveport and prior to her illness, Yvonne unselfishly dedicated her time to caring for “muh” (mother, Lovely). Mary “Yvonne” Sawyer is survived by her mother, Lovely Dorothy Sawyer of Natchitoches; daughter, Melissa Kirkland-Clayton (Paul) of Oklahoma City, Okla; grandchildren, Jaden, Taryn and Michaela of Oklahoma City; siblings, Doris Burton of Alexandria, John Burton of Pineville, Dr. Mildred Sawyer-Delozia of Dallas, Glenn Sawyer of Campti; informally adopted sister, Brenda Olugbami (David) of Rowlett, Texas; many other loving nieces, nephews, family members and friends.